Torsion of the vermiform appendix (TMA) is a rare entity that is often clinically indistinguishable from acute appendicitis. The diagnosis of TVA is difficult, requiring histological confirmation after surgical intervention. Published in the Journal of Current Surgery, the authors present a rare case of TVA in a 35-year-old woman with abdominal pain for 2 days. A 35-year-old previously healthy woman presented to the emergency department with a chief complaint of epigastric pain that radiated to her pelvis for 2-day duration. The pain was sharp. A laparoscopic appendectomy was performed and revealed torsion of an appendiceal mucocele with gangrene of the appendix. Final pathology confirmed a markedly distended appendix containing a mucinous cystadenoma with necrosis and hemorrhage. Her postoperative course was uneventful and she was discharged on the second postoperative day tolerating a regular diet. 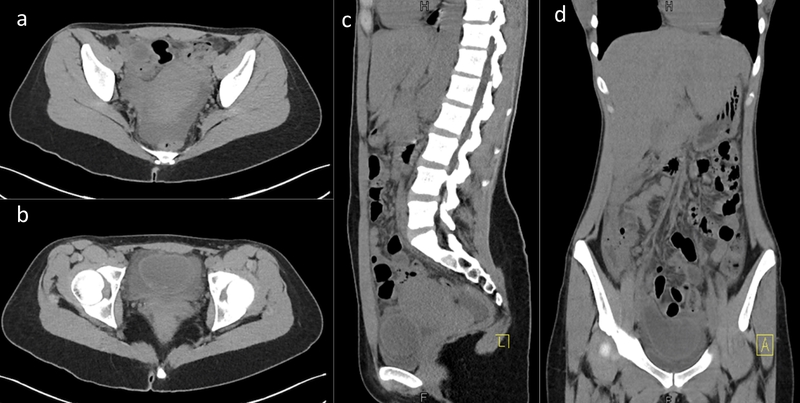 - This case highlights the importance of including TVA in the differential diagnosis of a patient with abdominal pain and a mass in the pelvis with equivocal imaging.